Valencia comunity offers many options to have an unforgettable experience. 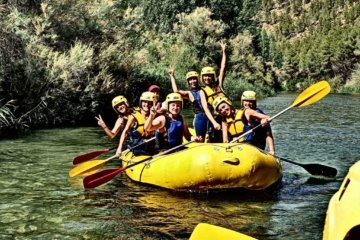 In PaddleinSpain center group we propose a 4 nights offer with four days of great adventure suitable for all ages. You will enjoy in comfort, of a nice independent house with two double rooms, full equiped kitchen, bathroom with hydromassage and the outdoor sports on the area of Hoces de Cabriel. INCLUDED 4 nts Rural House accommodation with: 4 rooms with bathroom, dinning room and full kitchen sheets and bath towel included, each room has its own private key. Independent house inside the village (the house is not private can be share with other customers). 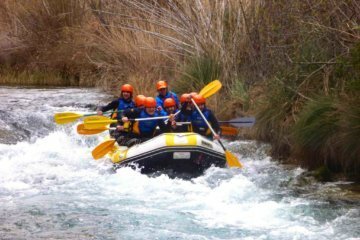 Breakfast and Morning Activity: White water Rafting (half day duration) Lunch and Dinner in accommodation. 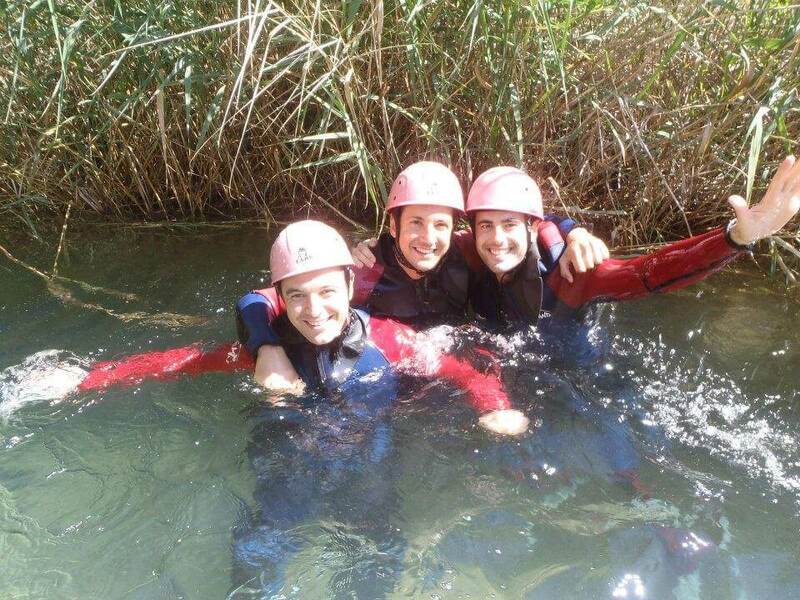 Breakfast and Activity: Aquatic trekking (half day duration) – Picnic Lunch and Dinner in accommodation. Breakfast and Morning activity: Speleology (half day duration) -Picnic Lunch and Dinner in accommodation. Breakfast and Morning activity: Multiadventure pack – consist in: Zip line + archery+ artifical rock climbing + beginner Via Ferrata. Lunch in accommodation and departure.